At KMC University, we’re fluent in chiropractic coding. It’s a good thing, too, because our clients and customers look to us to translate the mountain of CPT, ICD, and HCPCS data into understandable, legal, and profitable office billing and coding procedures. Coding correctly is critical to a healthy practice because accurate coding can build your bottom line. Sluggish and sloppy chiropractic coding practices do nothing but put you at risk. Our products and services help you understand what each code means, when to use which code, and how to accurately describe your services for maximum reimbursement, all while avoiding common coding pitfalls. KMC University has performed hundreds of Practice Performance Profile evaluations that include a code usage audit. Eight times out of ten, our review reveals errors that not only place the practice at risk, but also expose missed reimbursement opportunities. For example, more than 85% of doctors under-code their Evaluation and Management services, using codes like 99202 for their new patient evaluation, when the documentation clearly audited to a 99203. We also find that doctors have Chiropractic Manipulative Treatment (CMT) code ratios with 98941 as high as 95% of the total CMT codes used. That usually won’t stand up to scrutiny when compared with documentation. Billing code 97140, Manual Therapy along with a CMT code like 98941 raises red flags because you may not separately bill the manual therapy if it’s performed in the same body region as an adjustment. And if your documentation of the treatment to a separate area isn’t pristine, post-payment reviews can cost you thousands. For example, are you aware of the challenges with billing 97010, Hot/Cold Packs? Some in our profession think that because we only have a few codes in our billing arsenal, chiropractic coding must be simple. While we deal with far fewer CPT codes than other professions, the need for coding accuracy has never been more important. Recent Office of Inspector General (OIG) reports characterized chiropractic miscoding as potential fraud, not just simple errors. Don’t fall into this trap. The complicated transition to ICD-10 was a significant pitfall in our coding that required a critical eye and attention to detail like never before. Because we’re reimbursement and compliance specialists, we wear both hats when evaluating coding and training on best practices. We’ll help you identify the best and most accurate codes for your services, while ensuring that you maximize every reimbursement opportunity available to you. 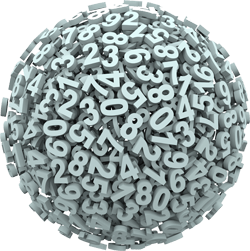 It isn’t an overstatement to say that these five little numbers in CPT coding have the power to topple your practice. KMC University is here to help you execute precise and accurate chiropractic coding while staying on top of all the changes and updates, every step of the way. Want to learn more about coding materials and training or the hundreds of other lessons and benefits we offer with a KMC University Library or PhD membership? Do the timed coding rules confuse you? Check out Kathy's Mini Class and learn all about it in less than 5 minutes.